We suggest yearly maintenance on your snowmelter. 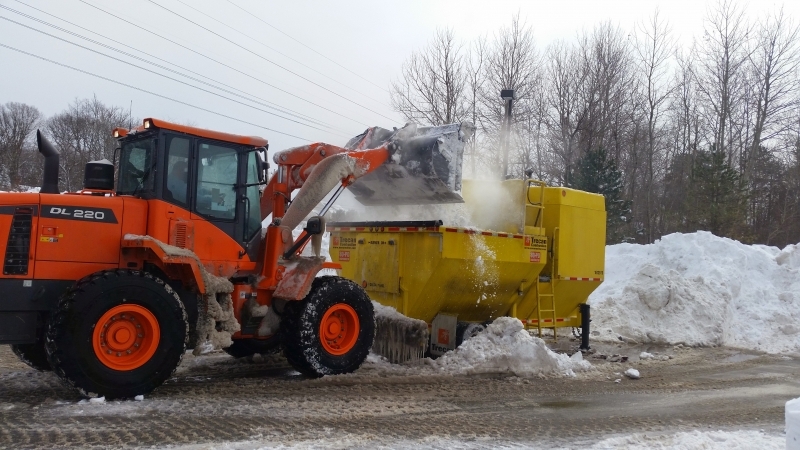 Commercial Boilers, Inc. also provides complete training for your snowmelter. We can provide classes from 1 to 100 in a neutral location or at the customerâ€™s facility. First level training – On site class to provide safety training to operators, loader operators, mechanics and fuel delivery personnel. This includes proper startup of equipment, safe movement and operations around the equipment during a melting operation, proper loading techniques, how to shut the equipment down safely, and procedures to secure the melter after operations to prevent accidents. Advance level training – On site class to provide technician safety training, training on how to perform yearly maintenance and inspections, starting the equipment, tuning the equipment for optimal efficiency, troubleshooting all of the equipment. Classroom review with a presentation on how to read electrical schematics, how to navigate the ownerâ€™s manual, and more troubleshooting procedures. Web training – training on how to navigate the web based application and use it to manage snowmelting activities. Thank you for visiting Commercial Boilers, Inc. Call us at 781-294-4437 or contact us via this website to discuss all of your snowmelting needs.